On October 26, 2016 entered into the force Decree of the President of the Republic of Belarus A.G. Lukashenko №318 "About establishment of visa-free entry and exit of foreigners." 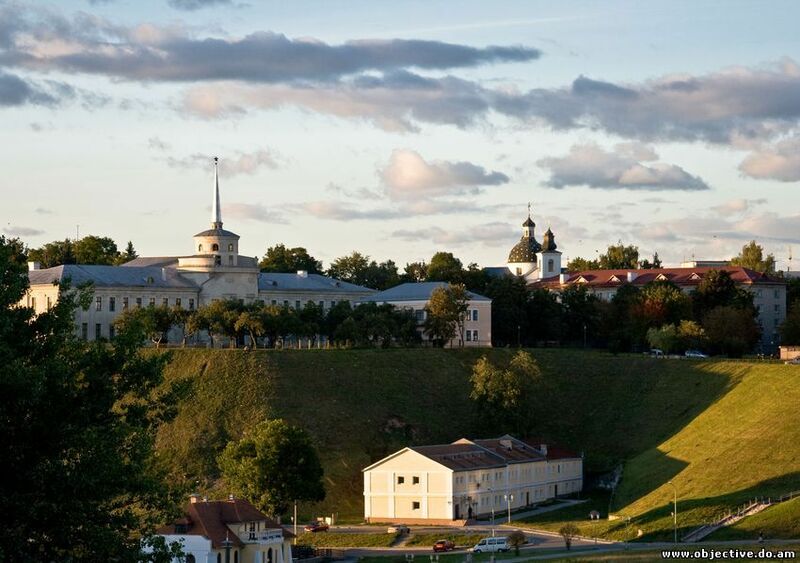 The decree has greatly simplified for foreigners visiting the ancient city of Grodno, most parts of the Grodno district and tourist and recreation park "Avgustov Canal". According to the Decree, foreign citizens can come up to five days without visa. You can cross the state border of Belarus from on the part of Poland through the crossing point "Bruzgi" / "Kuznica Belostotskaya , and from Lithuania - "Privalka" / "Raigardas". In the period from 01 May to 30 September an additional water checkpoints through "Lesnaja" / "Rudavka" and "Privalka" / "Švendubrė" is opened. Attention! From 01/01/2018 without a visa in Grodno you can come by train!!! You can visit the city of Grodno and the territory of five rural councils without visa (Sopotskinj, Goza, Podlabenje, Koptevka and Adelsk). The reason for the visiting without visa is a standard document that is given to the foreigner by the Belarusian tourist firms. Due to the fact that foreigner is entering without visa for tourism purposes, he or she will need to book and pay for at least 2 different tourist services (accommodation, meals, excursions, etc.). To obtain this document foreigner must contact the tourist travel agency which has the right to register such documents and fill in the application form indicating the requested services. On our site you can place an applicationon Russian, Polish or English. Everything can be arranged with help of Internet all over the world. After agreement and payment for booked services you will receive documents on visiting Grodno without visa by the e-mail. Attention! At the entrance to Belarus every tourist must have an insurance policy, and the car policy "Green Card". Insurance can be arranged beforehand in your country at an insurance company or travel agencies which do travel insurance for tourists. For example, in the city of Bialystok (Poland) travel agency Biuro Podróży "JUNIOR" makes travel insurances for tourists. on the border is issued migration card. Attention!!! In case of losing of migration card to a foreigner is imposed penalty!!! For more information on about visiting Grodno and tourist and recreation park "Avgustov Canal" without visa can be seen on the pages of "Visa-free entry to Grodno. Questions and Answers" and "Instructions for tourists coming in Grodno without visa."